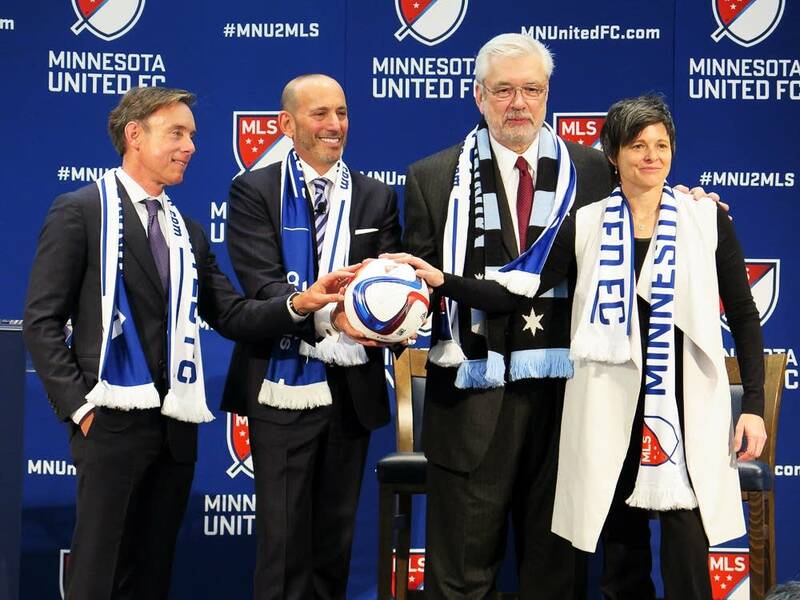 Minnesota United soccer team Owner Bill McGuire says he's open to allowing public ownership of the stadium he wants to build on the edge of downtown Minneapolis. McGuire has been lobbying lawmakers to exempt the proposed stadium from property taxes. He originally said he'd want to retain ownership, but McGuire told MPR News' Tom Weber he'd be willing to sign the property over to Minneapolis, Hennepin County or some other public entity in order to get the exemption. "We are not averse to that notion," he said. "But while the stadium would become a public entity in that regard, it still would have some very different characteristics than the other stadiums that are out there." Minnesota's other pro-sports stadiums are publicly owned and don't pay property taxes, but McGuire noted they also received direct cash subsidies from state and local taxpayers. McGuire said he wants to build the stadium using only private money, but needs the tax exemption to make the plan work financially.